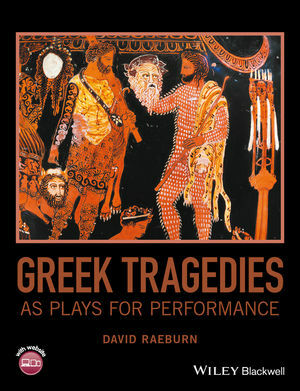 This is a unique introduction to Greek tragedy that explores the plays as dramatic artifacts intended for performance and pays special attention to construction, design, staging, and musical composition. David Raeburn has recently retired from a stipendiary Lectureship in Classical Languages at New College in the University of Oxford,UK, where he previously held the Grocyn Lectureship in the Faculty of Literae Humaniores. Before that, he spent more than 40 years as a Classics teacher and headmaster of two secondary schools. He is the co-author of The Agamemnon of Aeschylus (2010) and translator of the Penguin Classics editions of Sophocles' Electra and Other Plays (2008) and Ovid's Metamorphoses (2004). His research interests include Greek tragedy and Augustan poetry in Latin. He has directed over 30 full-scale or workshop productions of 18 of the 33 extant Greek tragedies, performed either in the original language or in translation with school and university students.